Opened, unwrapped, studied, a quick flick through and then to the ‘acknowledgements’. I, myself, am not a cook, although I am looking forward to proving myself wrong with a cookbook for ‘…francophiles of all ages’. I am, however, gluttonous for stories and even more so when these stories enable me to meet and learn about people. 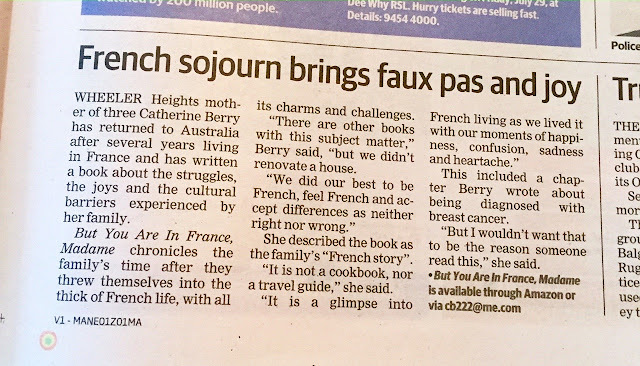 Thus, straight to the end of ‘in the French kitchen with kids’, where my inkling about this Australian-born, French-loving, Canadian-living lady was proved right. Mardi is also a passionate people person. 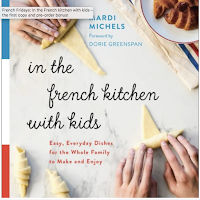 Her book was created with others, for others and it is clearly important to Mardi that she encourage families, and kids, to cook, discover and learn together. 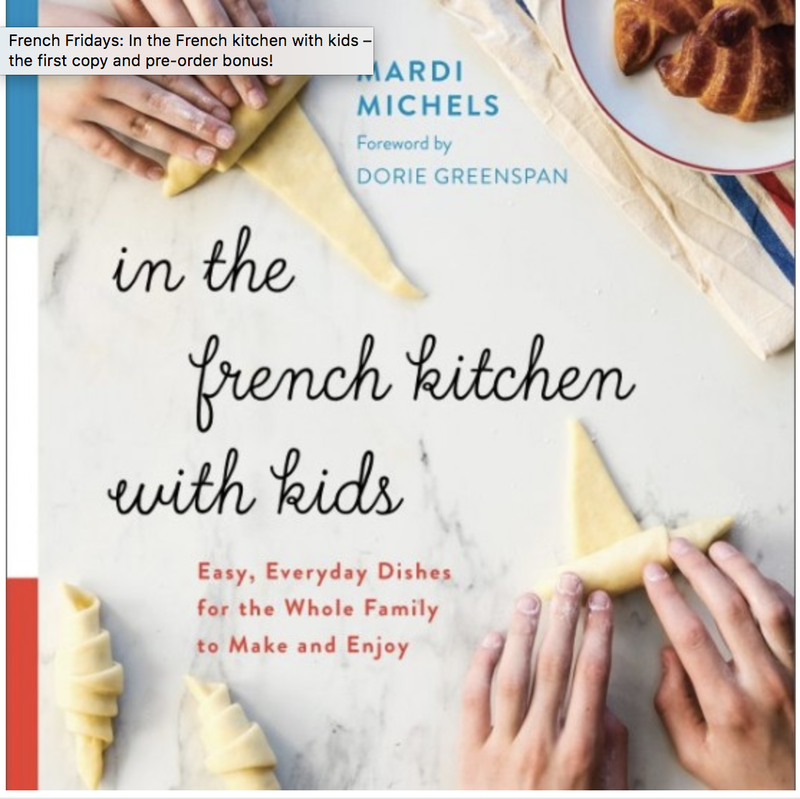 ‘In the French kitchen with kids’ happens to be about French cooking, as France is another of Mardi’s passions, but I sense that it could just as easily have been about any cuisine as long as togetherness was at its heart. 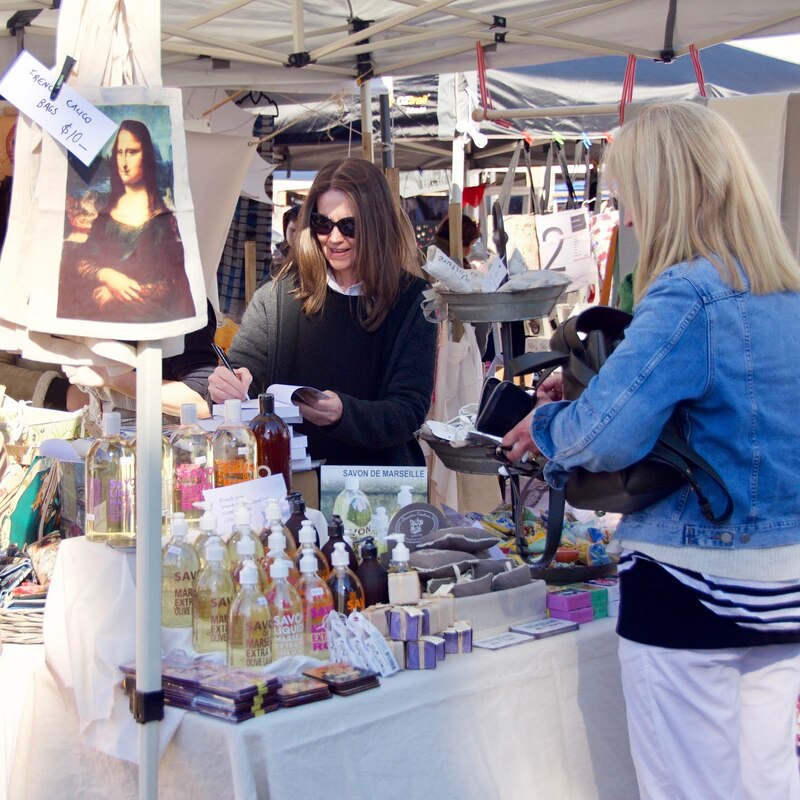 Australian-born, just like Mardi, I took my family to live in France when my children were 6, 9 and 12. At school, a vegemite sandwich, piece of fruit and a treat for recess was no longer the way to go. Instead, the children stayed at school for a generous three-course meal on occasions or came home to enjoy their two-hour lunch break on others. There was a third option; eating at a friend’s house. Only, invitations in meant invitations out… Whilst all of my children’s friends were exceptionally polite and ate whatever we put in front of them, the stress of providing an acceptably French meal was real. If I had been armed with Mardi’s cookbook (which covers actual food eaten by real French children), I would have known what sauce to serve with the pork cutlets, how to prepare a good vinaigrette to mix with salad leaves, that fish fingers could be an acceptable option and how to check when my beans were ready. I am going to leave the detailed food commentary to those more qualified than me, but make mention of the little tidbits, facts and ‘did-you-knows’ throughout, plus Mardi’s personal anecdotes (why vegetable soup is included being my favourite). These turn the book from a set of instructions into a story – and what kid doesn’t love a story? Recipes divided into sections: breakfast, lunch, after-school snacks, dinner, dessert, special occasions and basic pastry recipes along with tips for cooking with kids and lists of equipment. PS: As a somewhat impatient cook, when I witnessed a French friend in Australia prepare baguettes in front of me, with minimum fuss and a modicum of waiting (2 hours) for the dough to rise, I determined to see for myself if they required an authentic French touch or just any old (mine) would do. Click here to find out what happened. Thank-you, Mardi for generously sending me a copy of your book. It has been a pleasure to get to know you and to witness your enthusiasm for everything that you do. I wish you much success with this, your latest endeavour. Here I go again. Talking about food when I have no right to do so. But, in honour of the Tour de France - a race that I have come to know and love over the last ten years - we made a French meal. Actually, we never need an excuse for this, and I use the term 'we' loosely. I watched, took photos and sampled the red wine as the beef stew (boeuf bourguignon) was being put together. But, back to the bikes. In 2009, we were in the final months of preparation before our family adventure (which would take us from living in Melbourne to living in France) when the Tour passed through Annecy. I stayed up that night to watch the SBS coverage on Australian television and, as my interest to that point in the Tour was scanty and my knowledge sketchy, I didn't understand a lot of what was going on: the idea of teams working together for one lead rider, the different specialists within the teams, the terms and duration of the Tour, the names of the riders etc. was all unfamiliar territory. 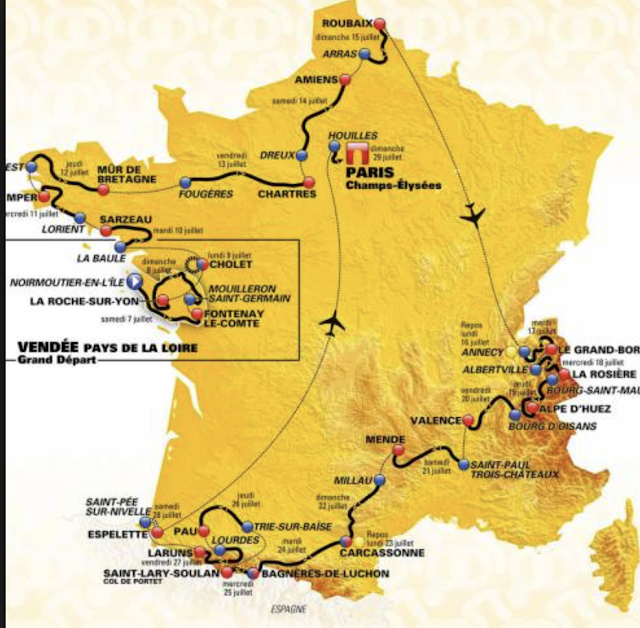 I can't tell you who won that stage, where the race went after Annecy and had to look up the eventual overall winner (Contador), but I can tell you that that night was thrilling. It was a turning point of sorts, as it had been suggested to all of our friends that they, too, should stay up late to see our future hometown. After years of planning, there was no alternative but to finally walk our talk...and go. I now feel like an old hand. 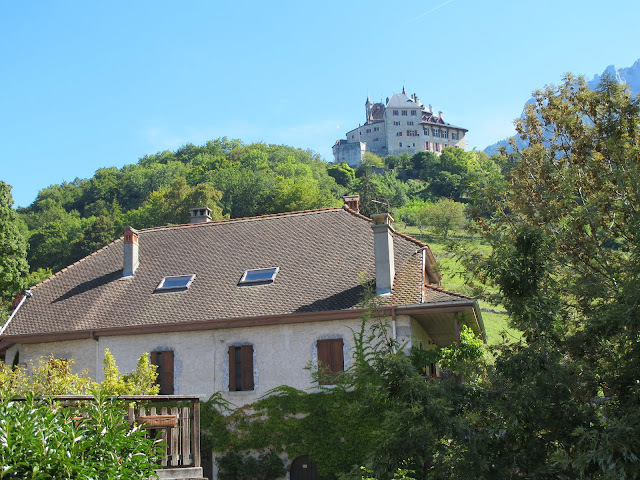 Not only did Annecy again feature this year as a start town for the 10th stage, Taste Le Tour with Gabriel Gaté visited Le Père Bise in our village, Talloires. Go to Series 14, Episode 10 for more. La Fleur de Sel, Le Guérandais, est délicatement cueillie, selon une méthode traditionnelle millénaire, à la surface de l'eau des oeillets par les paludiers de Guérande. In fact, in the salt harvesting process, sea water passes through a succession of ponds and it is the final set of ponds that are known as the 'œillets'. Is this more related to the winding related to eyelets? An interview with chef, Jamie Oliver, in which he talked about his mentor, a lady named Rose, came up in conversation. She was strong, kind, clever, someone who, according to Jamie, favoured simplicity and taught him to focus always on what he could do better. A 'salt of the earth' sort of person. 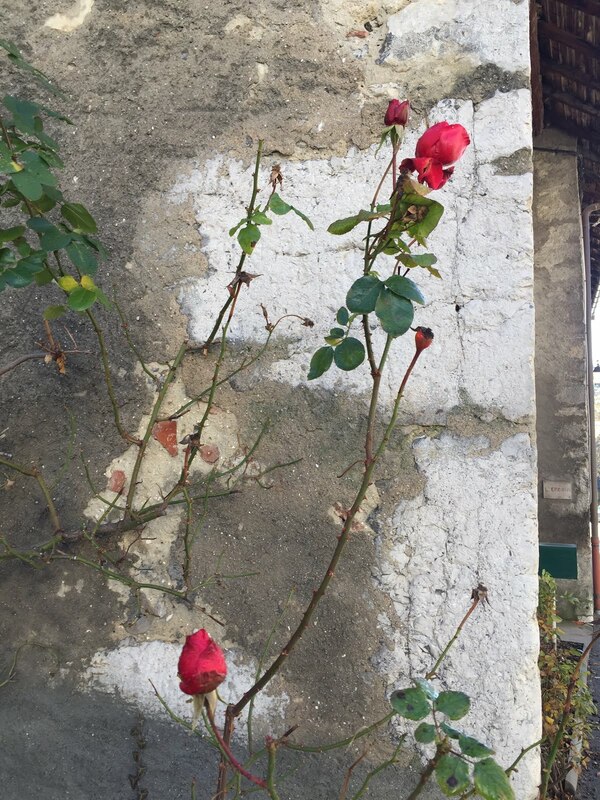 "...love of France grew...Almost before we'd unpacked our bags in Provence, we had more French friends than we had made in all our time in Paris. Within a year, we could no longer even remember life before Provence. For us, it symbolised all the essential elements of happiness we sought in life - friends, family, food, and feasts." Now, this was something that I could really relate to, and took me on a bigger wander around her book...which led to the Fleur de Sel. 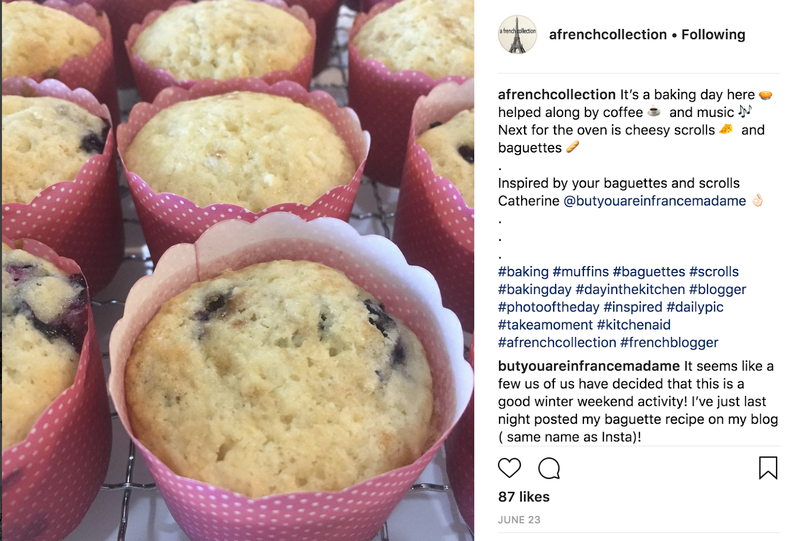 Strangely enough, it was not just me baking last weekend, My FB posts attracted return comments from both Annette at A French Collection and Mardi from eat.live.travel.write who is about to publish a...cookbook. *as far as I can tell - please do let me know if there is indeed a connection.